The rap star's birth certificate has hit the Internet. (AllHipHop News) More information is coming out about 21 Savage's early life as a youth in England. Everyone thought 21 Savage was from Atlanta, but he was taken into custody by U.S. Immigration and Customs Enforcement for allegedly overstaying a Visa after coming into the country from the U.K.
21 Savage's lawyer is attempting to free the rapper from an immigration prison, as they work out what he has labeled as a "misunderstanding" in a statement. 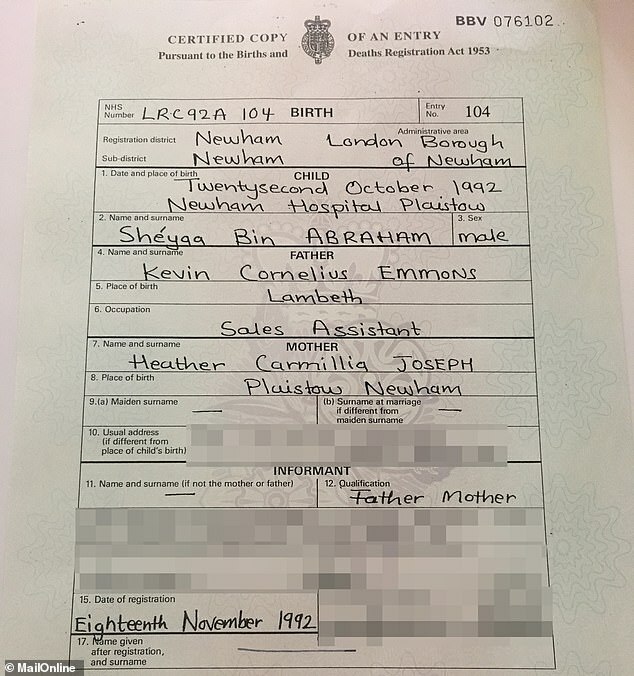 But the rap star will have to explain his own birth certificate, which clearly states he was born in the borough of Newham, in England. The rap star's parents Heather Joseph and Kevin Emmons welcomed the baby boy in the Newham hospital on October 22, 1992 according to the latest reports. ICE officials are specifically targeting 21 Savage because of an October of 2014 arrest for felony drug-dealing. His father still lives in Brixton, and 21 Savage apparently has two half-sisters in the U.K. as well. Apparently, the rapper entered the United States when he was 12 years old, but he overstayed his Visa, which expired in 2006. Why 21 Savage Was Arrested And Getting Deported By ICE. The Real Tea!